Our goal is to get Alaska skiing. We call our statewide program Skiku, a name that combines the Iñupaiq word for ice­—siku—with ski. NANANordic focuses specifically on communities in Northwest Alaska. 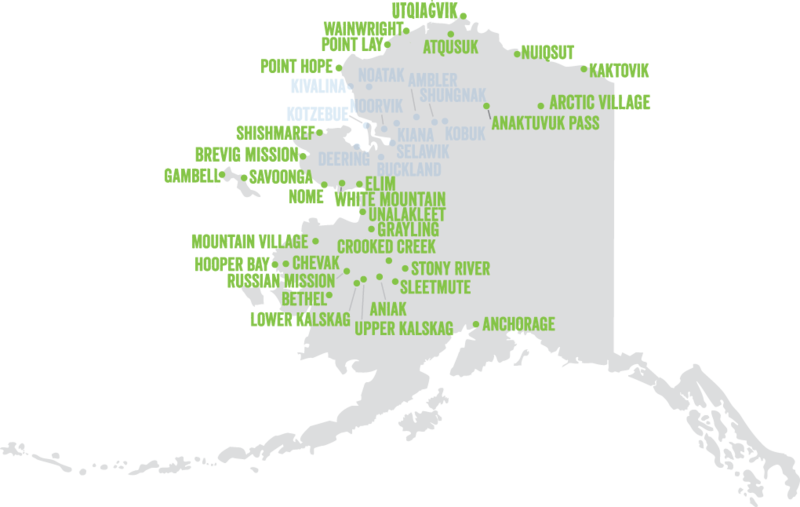 The two programs serve more than 40 communities across Alaska from Anchorage to villages around Bethel, Aniak, Unalakleet, Nome, Kotzebue and Utqiaġvik. We work in statewide partnerships with school districts, corporate and community organizations, and volunteer coaches from the broader ski community to foster the health, recreation, and competitive sports benefits of cross-country skiing, biathlon, and summer running. Sign up to volunteer and coach in communities across Alaska! Or donate to help our programs reach more students. Click here for more sponsors. Skiku’s goal is to get Alaska skiing. 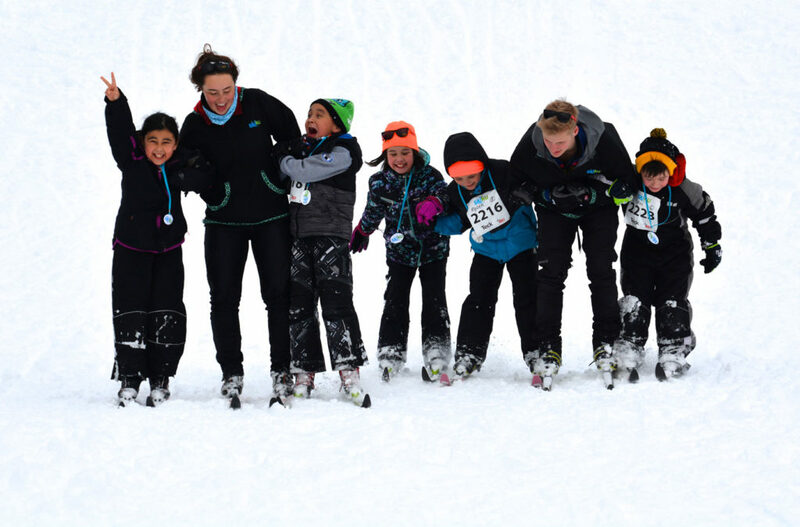 We work in statewide partnerships with school districts, corporate and community organizations, and volunteer coaches from the broader ski community to foster the health, recreation, and competitive sports benefits of cross-country skiing and biathlon. 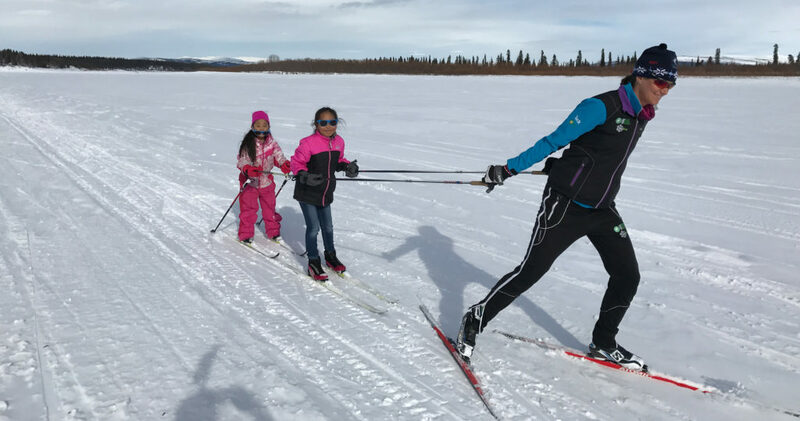 Our NANA region ski program, serving more than 1,500 students and adults, reaches the villages of Ambler, Buckland, Deering, Kiana, Kivalina, Kobuk, Kotzebue, Noatak, Noorvik, Selawik and Shungnak.